Would you like a win a free copy of V-Control Pro from Neyrinck? If so then this is what you need to do…. 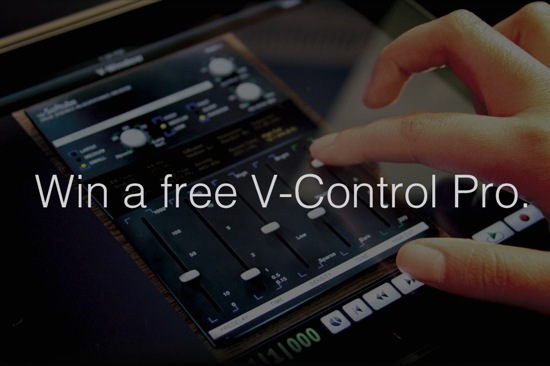 Post a nice picture of V-Control Free or V-Control Pro running on your iPad. Maybe a picture of it in your studio, out on the road, or anything that shows how V-Control in use. The best picture will be featured in their next email mailout. The winner will receive a free copy of V-Control Pro which you can give to a friend if you have one already.